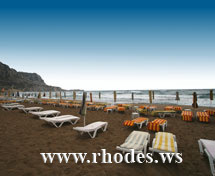 There is simply no need for an introduction when it comes about the Faliraki beach!Wild, cosmopolite, hugely famous, when it comes about popularity in the whole Rhodes Island, Faliraki beach competes only with Elli beach of Rhodos city, only 12 km away.Faliraki beach has it all - the thrilling social vibe, the golden sands, hundreds of sun beds and colorful umbrellas, lovely beach tavernas, restaurants, snack bars and, well... even bungee jumping! 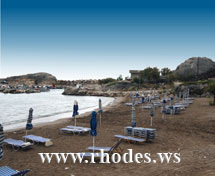 The best spot for a beach party with dancing till morning, Gennadi beach is the last organized spot before the island of Rhodes reaches its southern point at the Prasonissi beach.Laying 63 km from the cosmopolite Rhodos city in the north, Gennadi beach is an excellent mixture of great facilities and unspoiled nature, attracting especially young people.Still, only some parts of Gennadi beach are organized, with hotels along the shoreline, sun beds and colorful umbrellas to rent, for you to safely work on your tan and relax with the waves sound in your years. 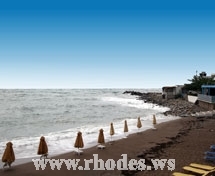 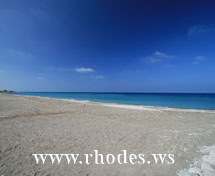 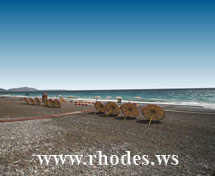 Traganou beach can be found only 15 kilometers away from the City of Rhodes and 4 kilometers away from Faliraki. 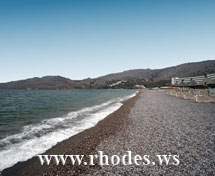 It is a half organized beach, as many of its parts are left to their natural beauty. 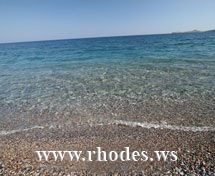 It mainly consists of small light-coloured pebbles and crystal clear blue waters. 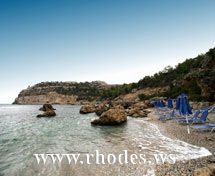 After swimming and sunbathing you will be able to have some fresh seafood in the small fish tavern located nearby. 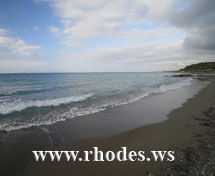 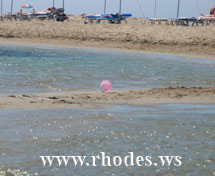 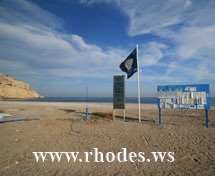 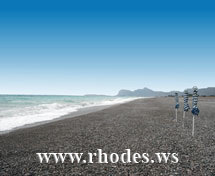 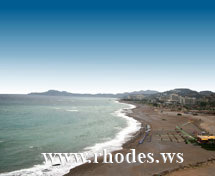 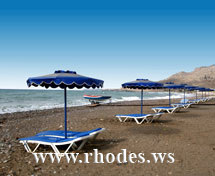 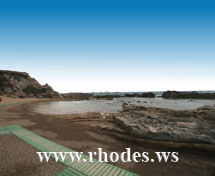 Vagies beach is located 38 kilometers south-east of the City of Rhodes. 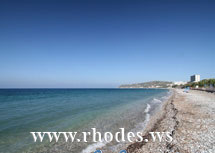 It offers a golden sand stretch and light blue waters sparkling under the sun. 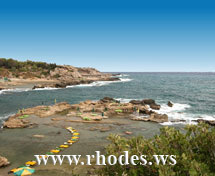 It is ideal for quiet midday swims, as it is not among the over-frequented beaches of the island. 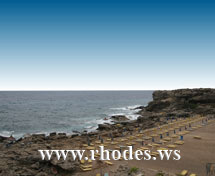 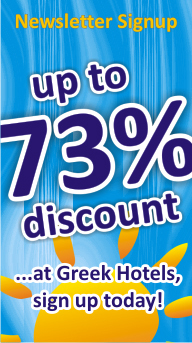 However you can find any extra facilities you need by getting to Lindos, which is the nearest village.